You may print it for your personal use, but you may not copy, distribute it, or sell it. You may link to the main page of Cute Crochet from your personal website, if desired at: http://www.cutecrochet.com. NOTE: Do not join rnds unless indicated. Mark first stitch of each rnd. 6 sc in 2nd ch from hook. (6). Rnd 2: Sc in ea sc around. (6). Rnd 3: (Sc in next sc, 2 sc in next sc) around. (9). Rnd 4: (Sc in next 2 sc, 2 sc in next sc) around. (12). Rnd 5: (Sc in next 3 sc, 2 sc in next sc) around. (15). Rnd 6: (Sc in next 4 sc, 2 sc in next sc) around. (18). Rnd 7: (Sc in next 5 sc, 2 sc in next sc) around. (21). Rnd 8: (Sc in next 6 sc, 2 sc in next sc) around. (24). Rnd 9: (Sc in next 3 sc, 2 sc in next sc) around. (30). Rnds 10-14: Sc in ea sc around. (30). Rnd 15: (Sc in next 3 sc, dec over next 2 sc) around. (24). Begin stuffing ornament. Rnd 16: (Sc in next 2 sc, dec over next 2 sc) around. (18). Rnd 17: Sc in ea sc around. (18). Continue stuffing. Rnd 18: (Sc in next sc, dec over next 2 sc) around. (12). Finish stuffing ornament. Rnd 19: (Dec over next 2 sc) around. (6). Fasten off, leaving length for sewing. Sewing opening closed. Rnd 1: With Silver and F hook, ch 2; 6 sc in 2nd ch from hook. (6). Rnd 2: 2 sc in ea sc around. (12). Rnd 3: Working in Back Loops only, sc in ea sc around. (12). Rnd 4: Sc in ea sc around, join with a sl st to first sc. Fasten off , leaving length for sewing. Stuff socket lightly with a small amount of Silver yarn. and sew to top of light bulb as shown in photo. These are great! Thank you for sharing! I'll be making several to replace some broken glass balls from doggie shanagins..lol At least they can't hurts these. What a great idea! We had to leave glass ornaments off the tree this year because of all the little ones! I am going to remember this for next year! oh thank you SO much! your pattern is so great ! ! ! I just made one and Itss SOOOOOO CUTE!!! Thank you!! I've had this for so long in my queue and finally I'm making them today!! Perfect!!! I have made over a dozen of these for my school friends as xmas presents!!! Emily, I am so glad that you like the pattern! Thank you for posting. can anyone tell me how to close the bulb... it says not to join rounds unless told and none of the rounds for the bulb say to join them? The bulb is made in one continuous Rnd. You do not join or turn the rnd. You just keep working round and round until you get to Rnd 18, where you start to decrease the stitches. When you have 6 stitches left and the ornament is stuffed, you fasten off and sew the small opening closed. I hope this helps you! it helps a lot... thanks. I am pretty new to crochet and was very confused. I will continue on and see what happens!!! Thank you for the pattern. 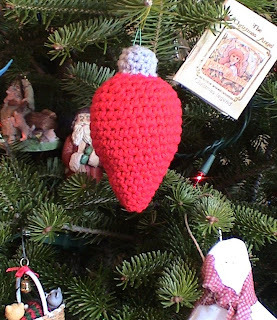 I'm trying to make ornaments for each of my grand and great grandkids to remember me in later years. These are darling. Thank you, Idell. I am so glad that you like the ornament! Happy crocheting! 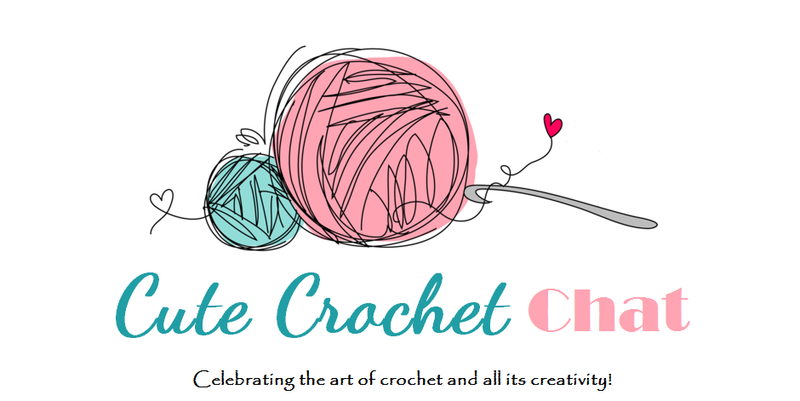 Contents of this blog are copyrighted 2016 by Jocelyn Sass & Cute Crochet. All rights reserved. Powered by Blogger.